Carpenter Co. has set up what it calls the “Pillow Education Hub” on its SleepBetter.org website, which can be found at http://sleepbetter.org/great-american-bad-pillow-project/. 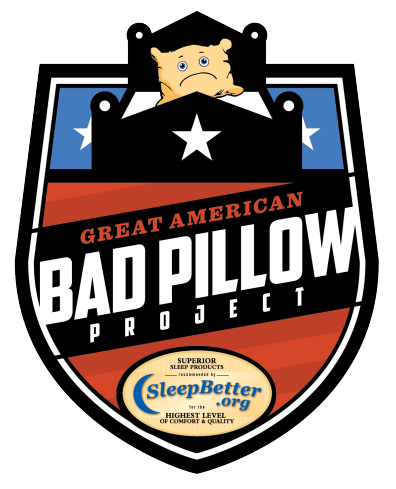 To encourage individuals to visit the website and learn about good pillows and good sleep hygiene, the company is also launching the Great American Bad Pillow Project Contest, which begins on August 1. At the end of the contest period, on September 1, three winners will receive a bedding makeover package from Carpenter Co. that includes two Serene™ Foam pillows, one Beyond Down® comforter, one Serene™ Foam “Bed in a Box” 10-inch mattress, and one Iso•Cool® mattress topper.